Brings back taste from childhood. Soft delicious,how the spearmint mingles in your mouth.I love the candy!Thank You. The spearmint leaves were used to form a Christmas tree, and the colored spice drops were the lights. Turned out pretty cute and yummy to eat. I got these at the penny store when I was a kid. I remember these candies from my youth. They are still just as tasty and refreshing as I remembered. I have them in a glass candy jar on the table and everyone who tries one asks where I found them. My parents enjoyed these when they had their monthly card club over many years. These truly are the best spearmint leaves out there. It brought back great memories for them and for me. We all tasted them and they get a 10+! Reminiscent of my sisters and I when we were kids. I loved them, will order them again, for sure!!!! 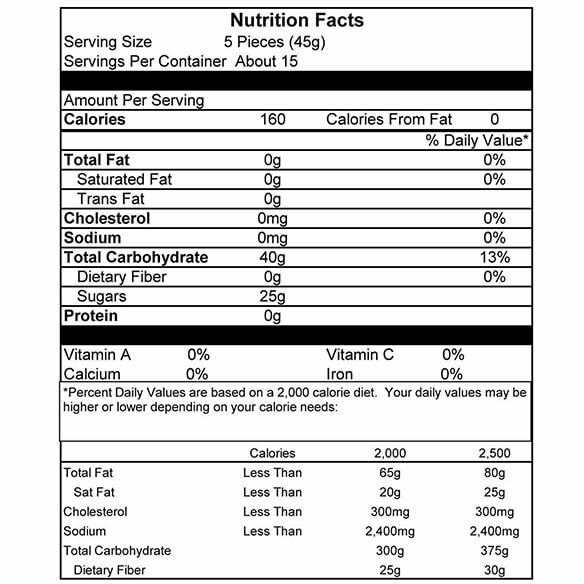 I use this product as a snack, usually eat two in the afternoon. When my granddaughters come they can't get enough of them. The thing that makes these stand out is that they are fresh. They went fast cause they were so good. I ordered this candy for my husband. He loves it. He wants more. My son-in-law asks for these every Christmas, bless him. These are the best, can't seem to be able to buy anywhere else. My favorite!!! WILL BUY AGAIN AND AGAIN....CAN'T GET ENOUGH! Absolutely delicious! Great snack for guests and myself at TV time. Have two friends already hooked on this great candy and have bought I would say at least a dozen bags myself as well as give some for gifts. All well received. Will buy more and more! I was so happy to find the spearmint leaves for my husband, who just adores these. A lot of stores do not carry these. Spearment leaves are very hard to find in retail stores. It is a real convenience to be able to order them in a large quantity. They arrived very fresh and are very tasty. Using them to make a little Christmas edible treat by setting them on top of a Rolo chocolate piece for the truk. Love mint and these have terrific flavor. Soft and hard to stop eating! I put these candies in a candy dish and my BF really liked these (he usually does not like sweets). They were a little too sweet for me so I limited myself to just one or two but the spearmint left a nice fresh taste in my mouth. Not the same . 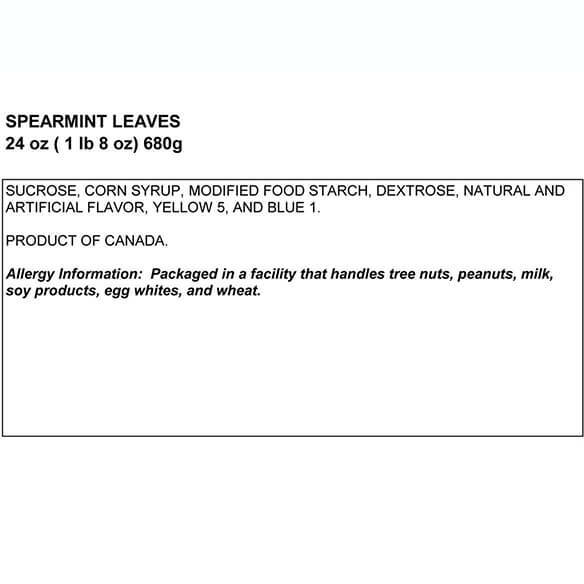 . .
Used to always get a box of spearmint leaves at the movies when I was a child. 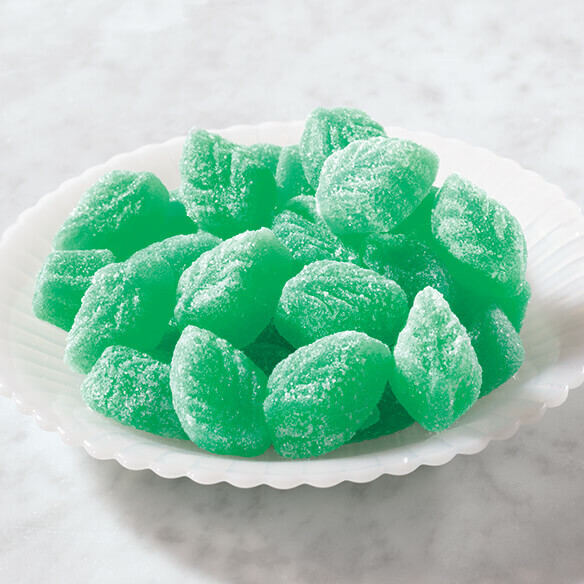 Unlike these flavored soft jellies, the outsides had a sugary crunch and the insides were a blast of spearmint. Well,everything changes, doesn't it, and these will have to do if one craves spearmint taste . . . not bad, just so-so.